The cream of Sheffield hospitality industry came together to celebrate the 16th annual Sheffield Hospitality Association Awards, held at Kenwood Hall Hotel & Spa. Hosted by BBC Radio Sheffield and Look North’s Tom Ingall, the Bond themed award ceremony celebrated the very best of the city and wider region’s hotel and venue professionals, those often, unsung heroes, who work tirelessly to make sure that guests and tourist to the region, have a great visit. Now under the banner of SCR Hospitality, the hospitality association covering the Sheffield City Region, to reflect the organisations growing membership across Sheffield, South Yorkshire and North Derbyshire. Headline sponsorship was received from City Taxis and support from Doncaster Sheffield Airport, Beacon Purchasing and Jay Jay Media ensuring the 16th anniversary celebrations were a roaring success. Kenwood Hall became Casino Royal for the evening with Bond theme celebrations, complete with casino tables, Bond villains and a welcome Martini cocktail. 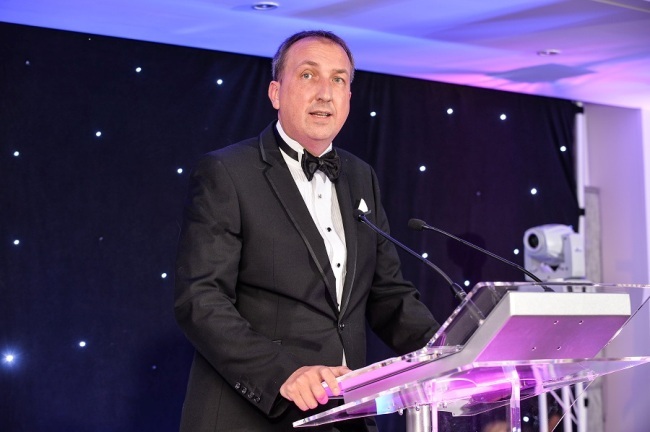 Steve Whittaker, chair of SCR Hospitality Association, said: “I am immensely proud to be the Chair of SCR Hospitality Association and have the opportunity to honour the best of the city and wider region’s hospitality industry. The Awards is one of the most highly anticipated events of the calendar and this year did not disappoint!